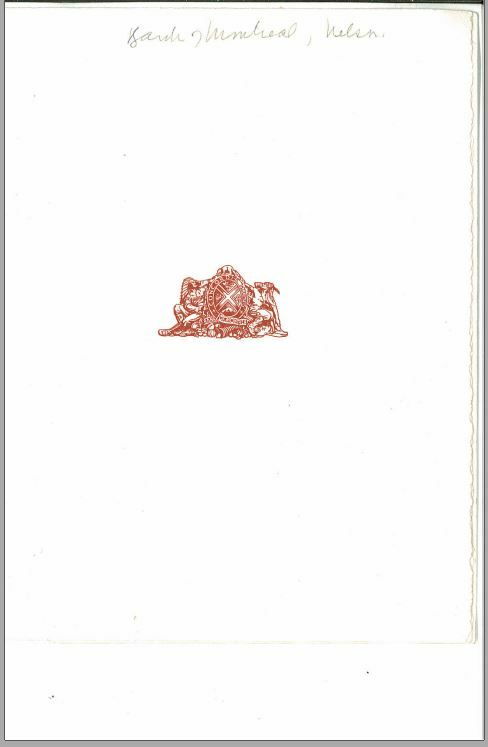 Here are some more examples of Corporate Christmas cards taken from 920334-0001 (Vertical files). This one is from the Bank of Montreal in Nelson, B.C. 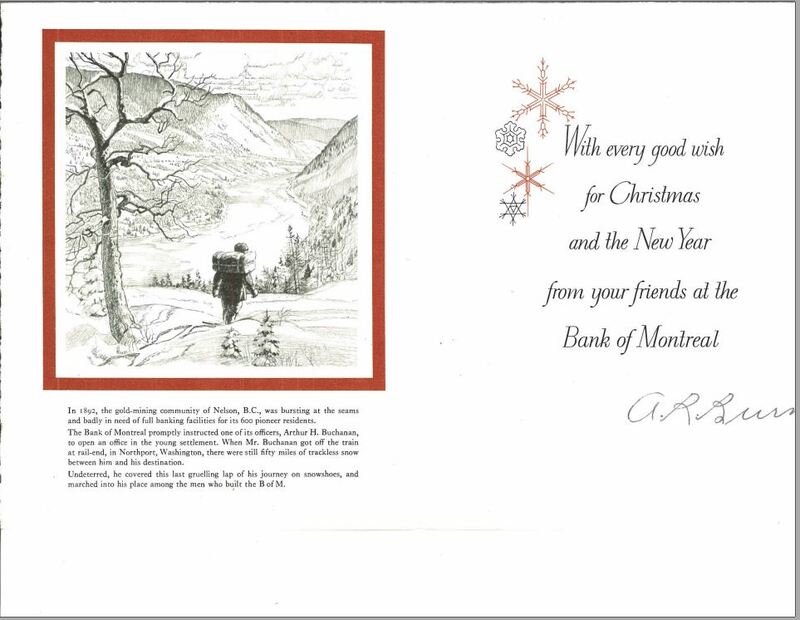 The front of the card consists of the Bank of Montreal coat of arms but inside there’s a charming woodcut print showing Arthur H. Buchanan striding manfully through the snow to help bring the Nelson branch of the bank to the people. 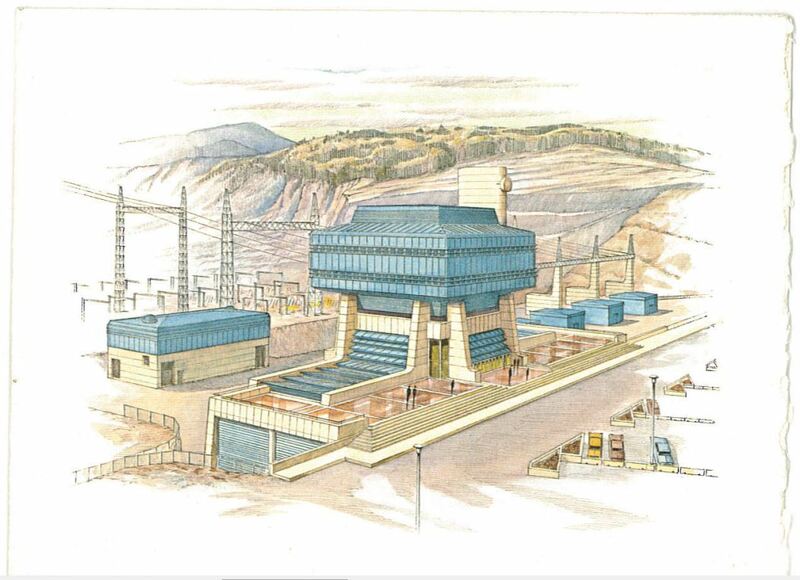 Next is a beautiful colour drawing of a BC Hydro generating station. I can’t tell if this is taken from a real site or if it’s more of an artist’s representation of what the new BC Hydro sites were going to look like. 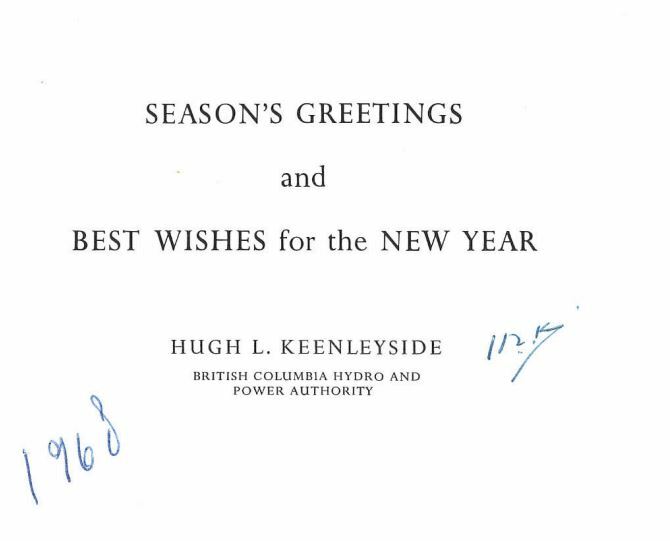 The card is signed by Hugh Keenleyside for BC Hydro and Power Authority and is dated 1968. Perhaps this generating station was intended for the High Arrow Dam near Castlegar? 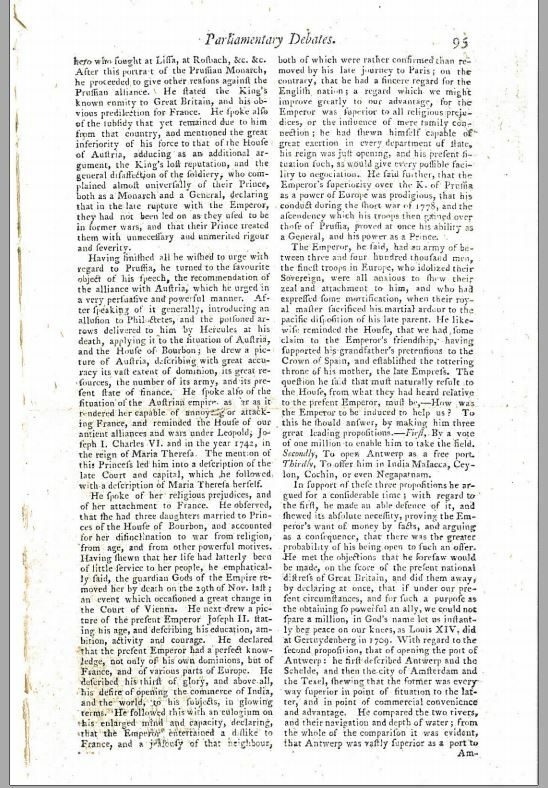 Since the dam was later named the Keenleyside dam, it’s seems fitting. 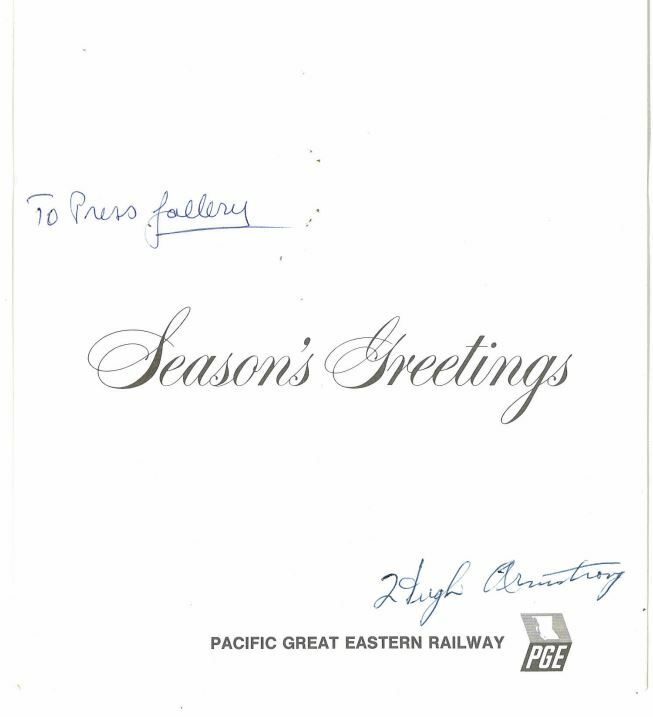 Hugh Armstrong of the Pacific Great Eastern Railway sent this next card to the Press Gallery. 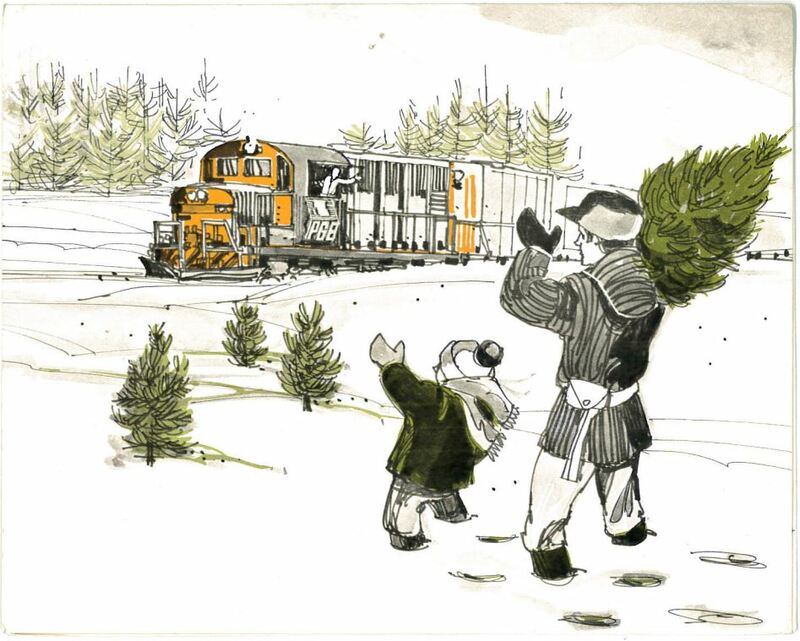 The image on the front of the card seems to suggest that the PGE was a real people’s train, connecting with those living in the hinterland, especially at Christmas. 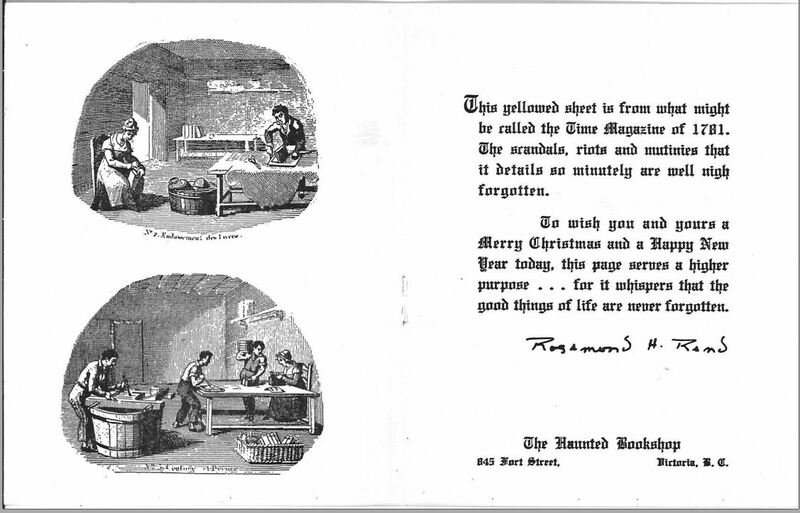 And finally a local Victoria bookstore sent out some lovely Christmas cards that also worked as an advertisement. 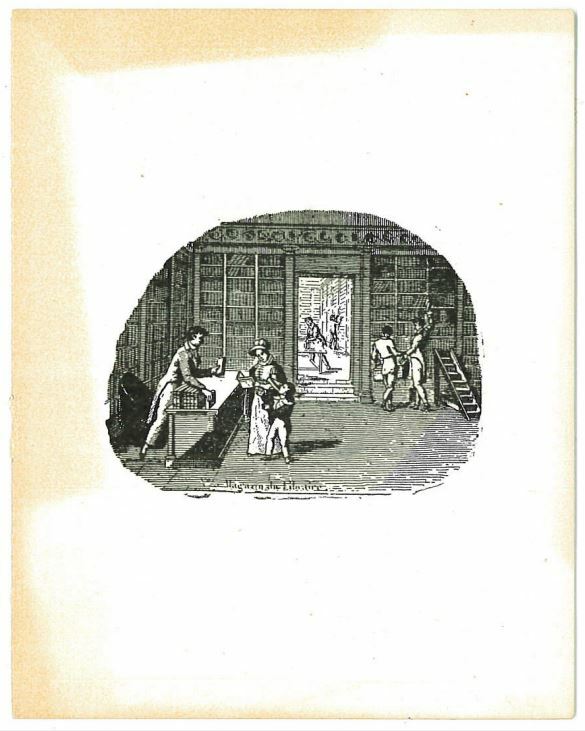 Included in each card was a piece of history, a page from a real book to enjoy at your leisure. The Haunted Bookshop moved from Victoria to Sidney a few years ago and it’s still a charming place to visit.